Watch and even help with the morning feedings of sharks, rays, terrapins and other marine creatures on Wednesday, April 17 in a special behind-the-scenes program in the Maritime Aquarium at Norwalk. “This program — called ‘Feeding Time’ — is offered by the aquarium on occasional weekends, but this upcoming session is on a Wednesday as a fun and special experience in the middle of the school spring-break week,” said aquarium spokesman Dave Sigworth. 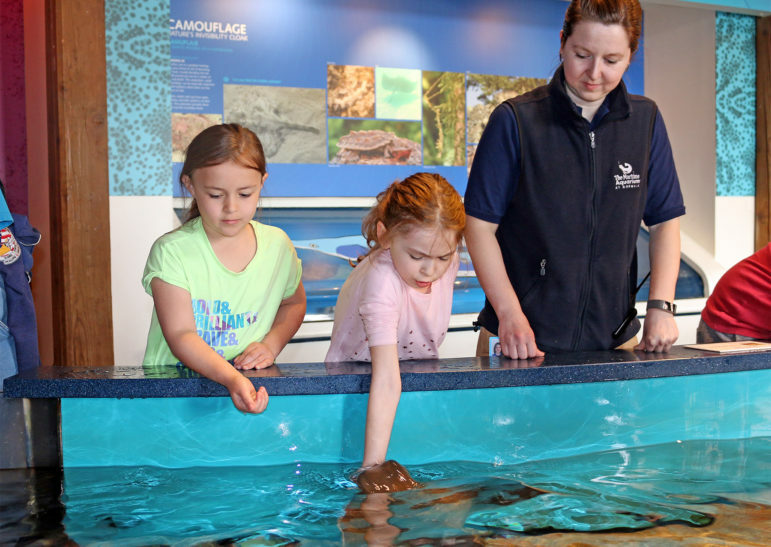 Hand-feeding rays is one of the activities available to kids ages 6 to 8 during the spring-vacation camp. • Feeling the vacuuming power of rays on your palm as you offer morsels in the Shark & Ray Touch Pool. • Hand-feeding a horseshoe crab and diamondback terrapin. 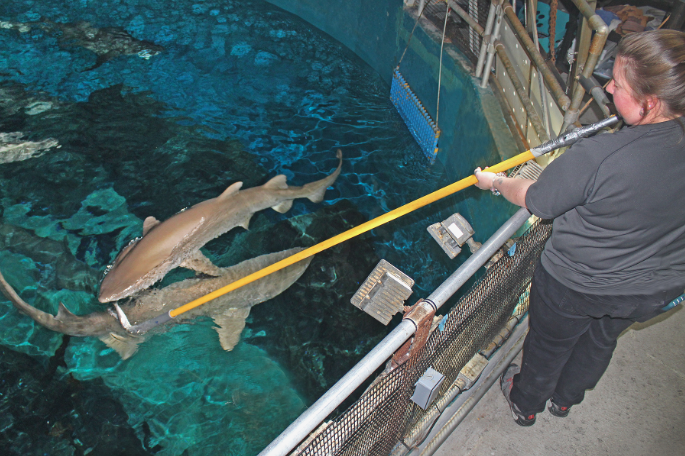 • Going above the aquarium’s 110,000-gallon Ocean Beyond the Sound exhibit to watch as aquarium staff feed the 7- and 8-foot sharks prowling just below your feet. Toss in some bonus food for the sharks and the exhibit’s rays and other fish. • Attending a private seal feeding open only to “Feeding Time” participants. The 90-minute experience starts at 8:30 a.m. Children must be at least 5 years old and accompanied by a parent or guardian. Cost is $40 for adults and $20 for ages 5-12 ($35 and $15 for aquarium members). aquarium admission at 10 a.m. is separate. Advance registration is required. Register online.